Recipe can be halved or doubled as needed. 1. 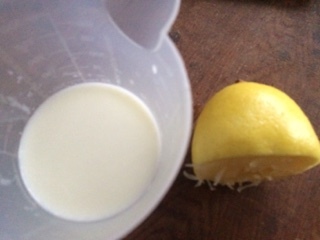 Combine the milk and lemon juich or vinegar stir until combined. 2. Let stand 5 to 10 minutes at room temperature.